Turnk-key construction of the entire architectural space. 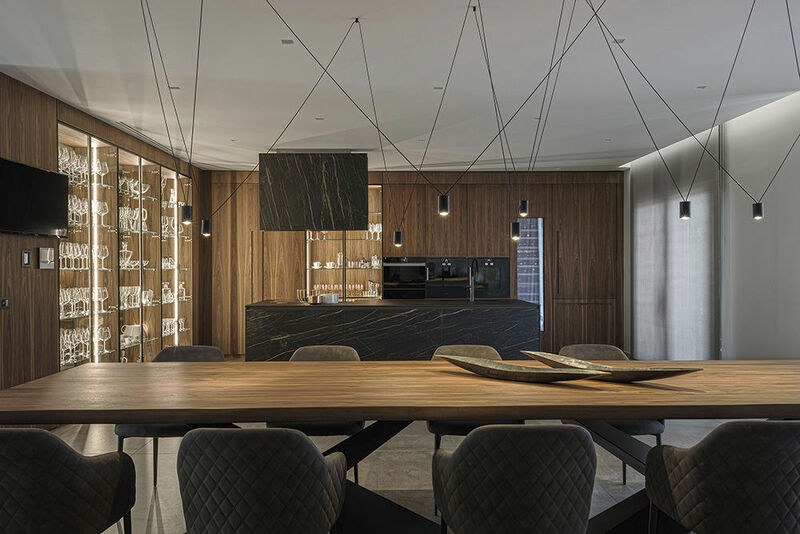 The open space of dining and living areas is divided by a T-shaped composition including the kitchen with an island, the living room furniture and the equipped wall. 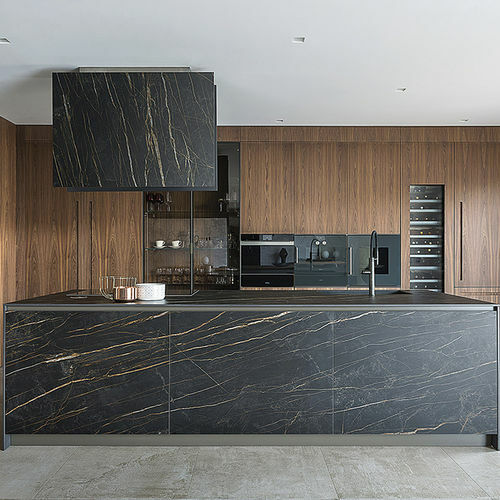 The kitchen layout is linear with an important island entirely in Gres Laminam Noir Desir, developed on the T45 model. 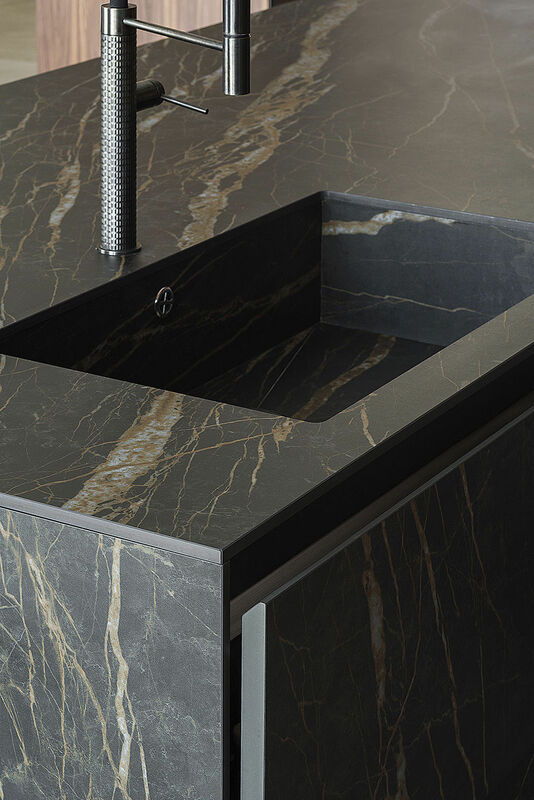 The island incorporates a built-in Gres sink and a filotop hob. The column composition is developed on the D90 model with the structure in natural Birch and front elements in Noce Canaletto with inside handles. Backlit glass cabinet on bronze structure adds particular charm to the composition while the retractable doors give access to the auxiliary work area. 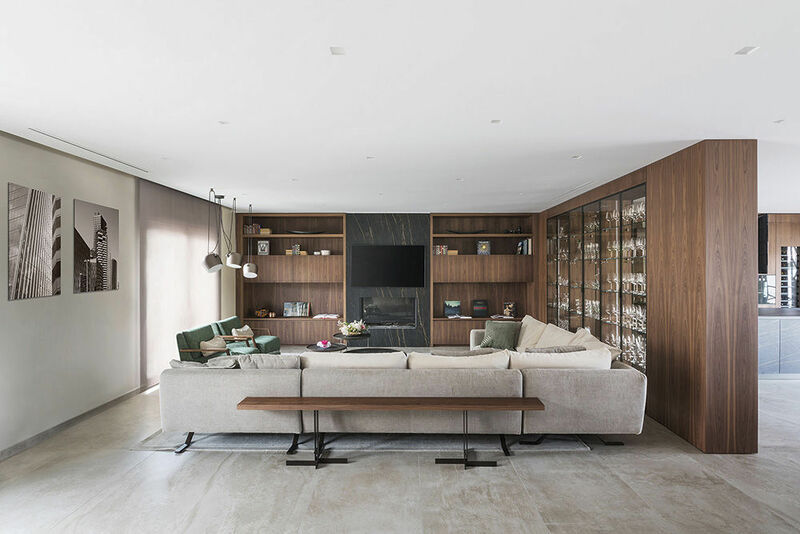 The living area is divided by a central wall with doors in bronzed glass on both sides of the same D90 model, while the structure and the paneling is in Noce Canaletto. The internal shelves made of glass are LED backlit. 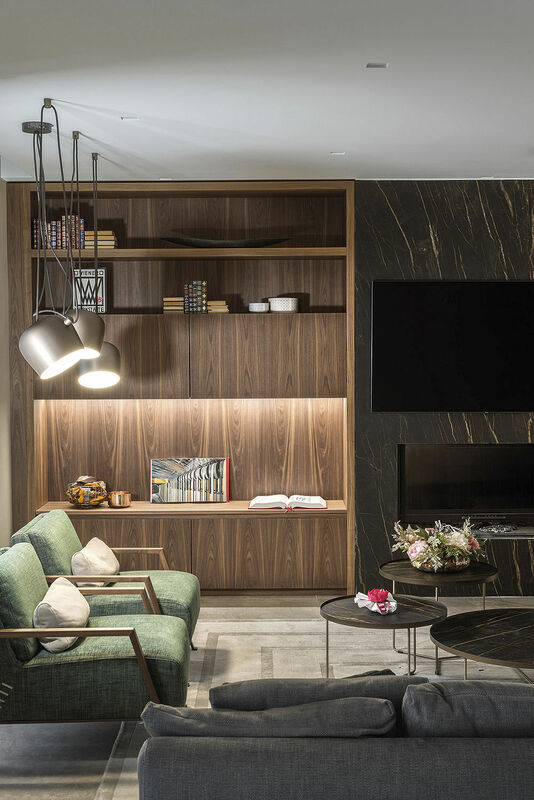 The large open module features a symmetric composition compared to the central module in gres which houses the wood fireplace and home entertainment. The lower doors are developed on the T45 model and the structure is completed by an intermediate suspended unit with flap doors and LED lighting and upper bookcase unit. In continuity with the design of the entire space, a customized trapezoidal module has been realized upon request of the customer. It is characterized by the alternation of open compartments and storage compartments with push&pull opening doors.